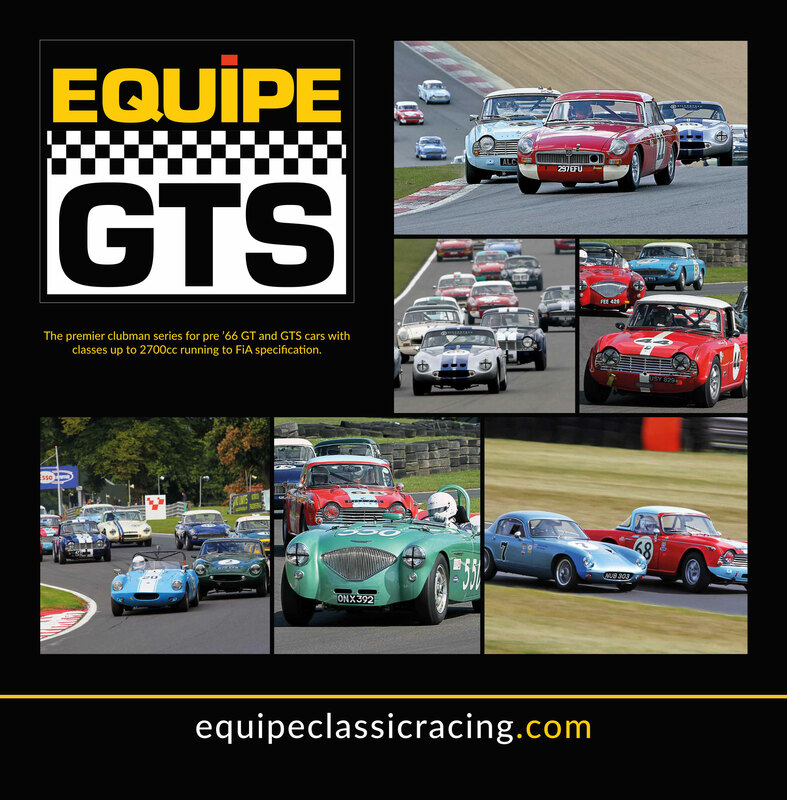 Our aim is to re-create the vibrant clubman racing of the 50’s and early 60’s where fantastic classic sports cars can be driven on track by passionate amateur enthusiasts. Cars run on Dunlop Historic Tyres to FiA appendix K specification. FiA Papers are welcome but not mandatory. Equipe GTS is a series of races and not a championship. By carefully selecting eligible cars, the series delivers close and exciting racing with an emphasis on competitive yet high driving standards. With Club Racing at its heart, Equipe GTS is inclusive and social including paddock parties and events. The 2019 calendar has 8 race weekends including the Silverstone Grand Prix Circuit, Brands Hatch Grand Prix Circuit, Donington and Oulton Park.